An unusual rescue of a man left dangling in a tree will feature in a television programme on Friday. 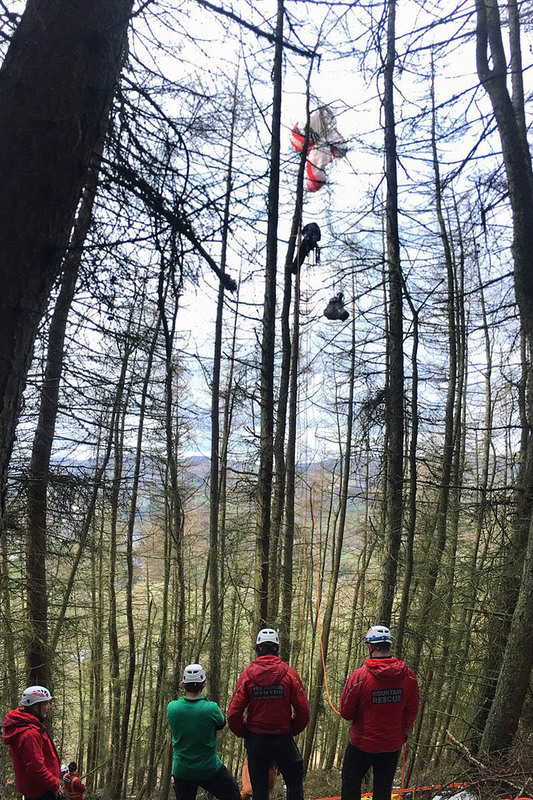 A member of North East Wales Search and Rescue used his professional tree-climbing skills to reach the stranded paraglider who was left hanging 65ft above the ground after crashing into trees near Llangollen in March. The rescue is one of the incidents recalled in BBC One’s Close Calls: On Camera. Nick Knowles fronts the programme, which will be broadcast at 11.45am. At the time of the incident, a Newsar spokesperson said: “One of our team members used his professional tree-climbing skills to get above the casualty so a rope system could be built to lower him gently to the ground.